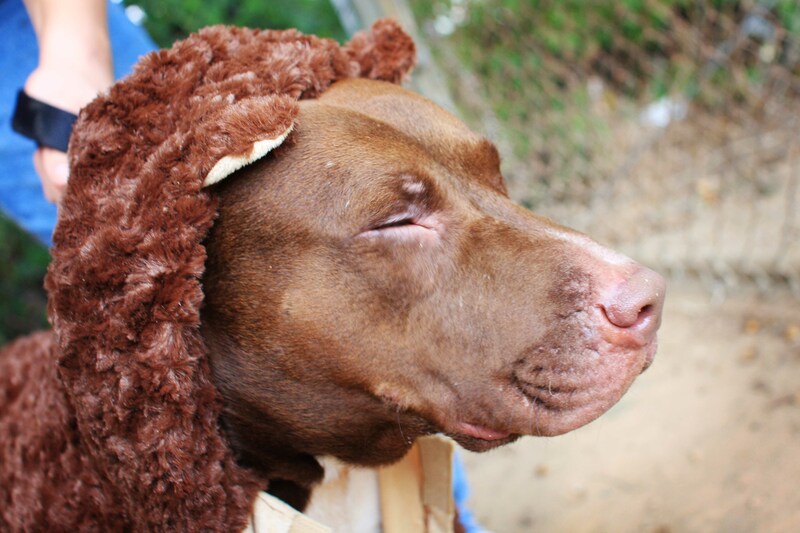 I never realized all those times I dressed up my foster dogs that I was really on to something: adopters love dogs in costumes! 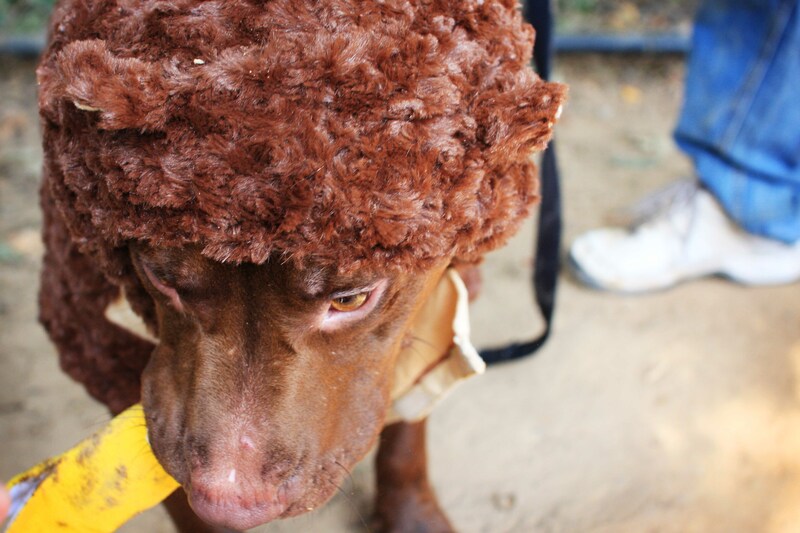 Silly outfits give a dog the appearance of having a sense of humor, and who doesn’t want a funny dog? 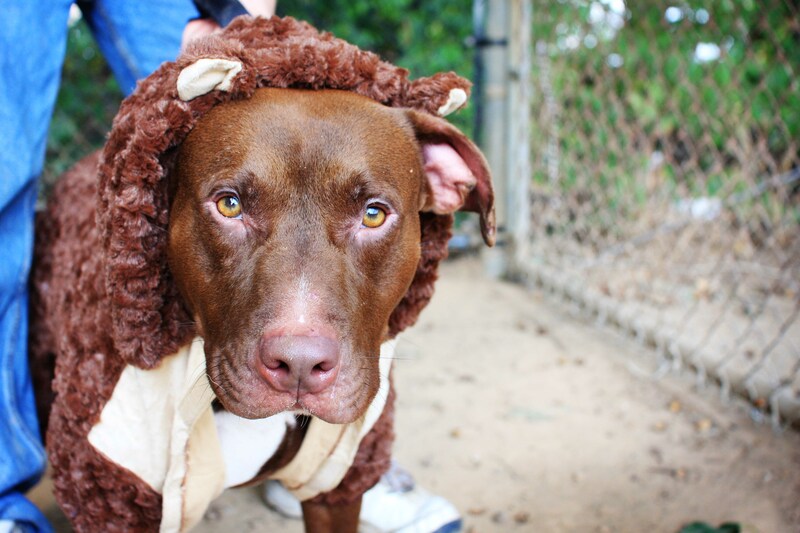 Animals also stand out so much more when they are wearing a costume. This is most valuable on adoption sites where you have hundreds of little thumbnails to go through and the ones you’re likely to click on are the ones that have lots of color or something else unique about them. Ever wonder how to cure “black dog syndrome”? Stick a rainbow collar on them! These shelter adoptables have been my costume guinea pigs with a new batch of outfits I just ordered. 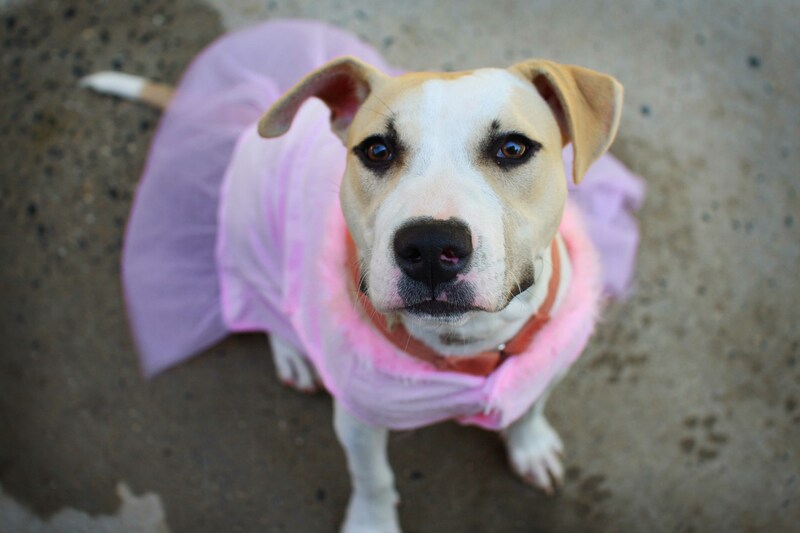 Photographing dogs in costumes is a tough feat – especially when they are shelter dogs with lots of pent up physical and mental exercise (“fabric! yay! time to chew!”). You have to be very quick with your camera, and get a patient person to help you. Then, if you’re lucky, you’ll get some halfway decent shots amongst the chaos. Then sometimes you get the as-close-to-perfect-as-you-can shot, and those make it totally worth the patience. 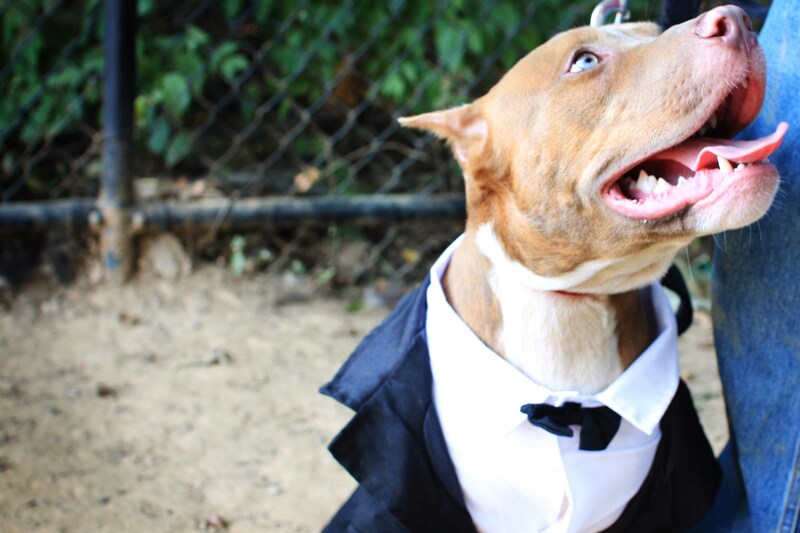 Seriously – who can say no to a dog wearing a tuxedo, pig outfit, dress, or monkey suit? 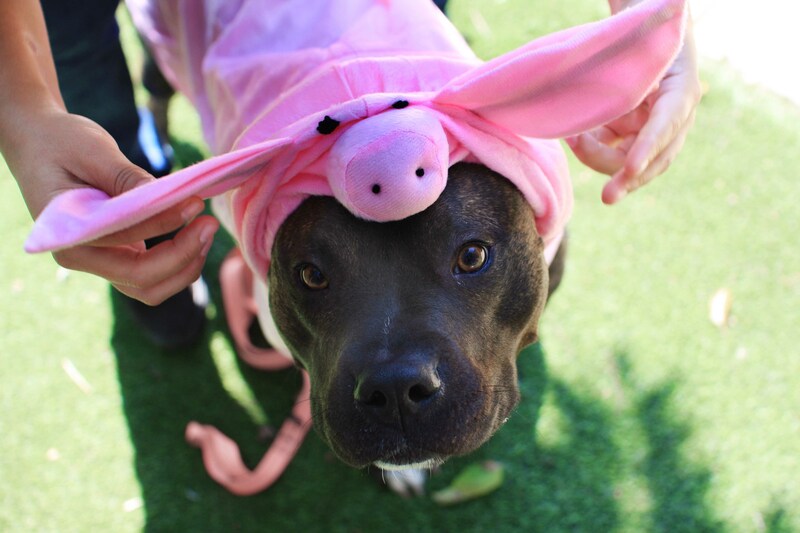 In case you’re wondering, everyone’s looking for forever homes but the piggy. 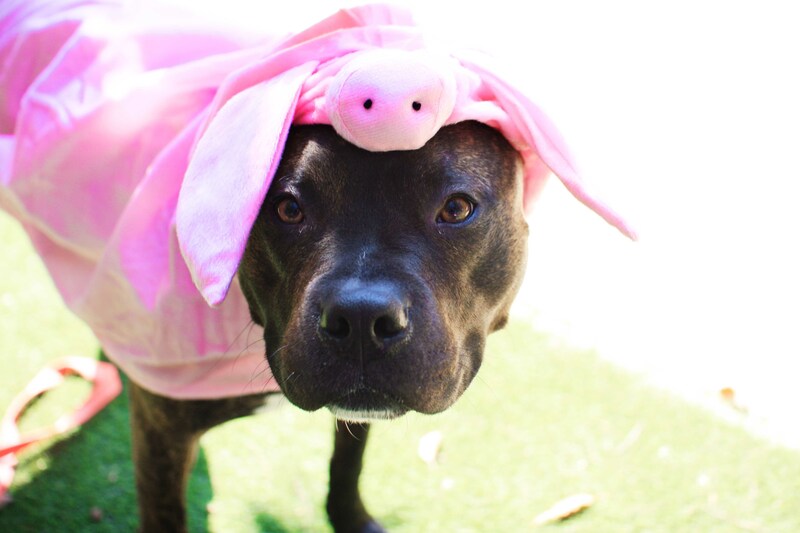 Tig the Pig has already been adopted – hooray! 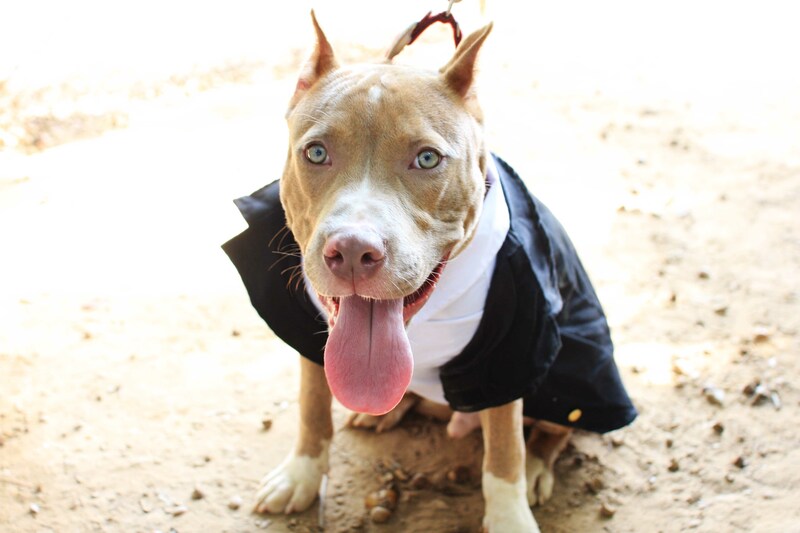 This entry was posted in Dog talk, Photography, Rescue/Humane Society, Uncategorized and tagged adoptable, costumes, dog as pig, dogs in costumes, fancy dog, for adoption, halloween, pit bull, shelter dogs, silly dogs, tuxedo. Bookmark the permalink. Too cute! 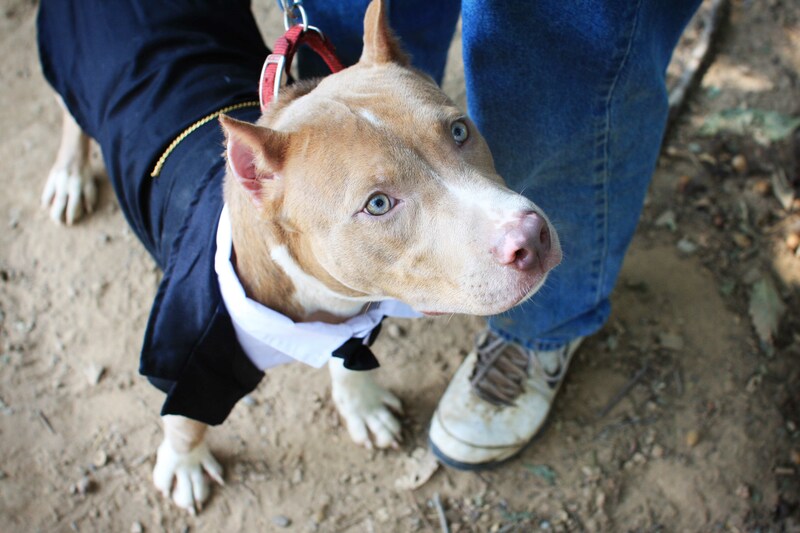 That’s great that Tig has been adopted. I hope the other get their forever homes soon! Omg, does the pig one come with the dog?? They are all so cute, great idea!